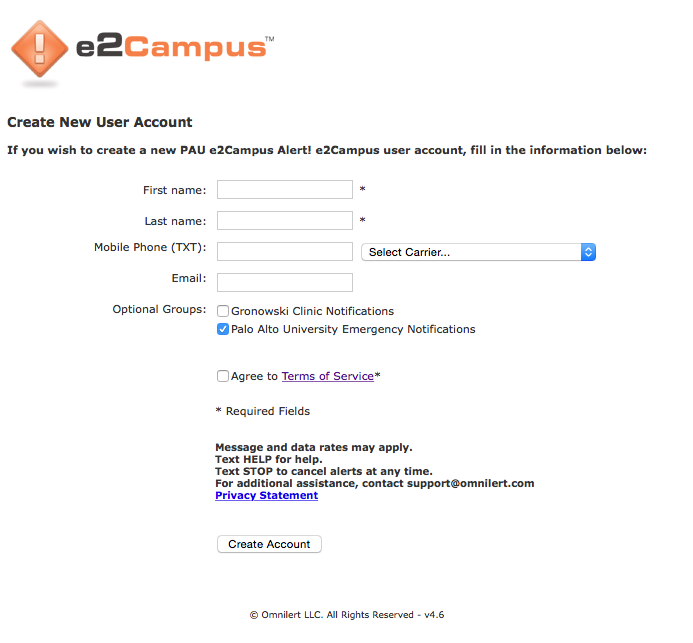 The PAU IT Department would like to introduce "e2Campus" Real-time campus alerts. PAU e2Campus “Alert!” notification system provides PAU faculty, staff, and students with timely emergency and weather closing notifications. This is an "OPT-IN" service as you must create your own account and enter your contact information in order to receive notifications. PAU e2Campus “Alert!” Delivers messages via SMS (text message to your cell phone) and e-mail when you enroll. You may enter any number of contact numbers/email addresses where you wish to receive notifications. Sign up is quick and easy, and your information will only be used for notification via PAU e2Campus “Alert!” You will not be spammed, and PAU will not use this system for “routine reminders” (such as registration deadlines, etc.) PAU's e2Campus Alert! will be used exclusively for emergency and weather/campus closing messages. 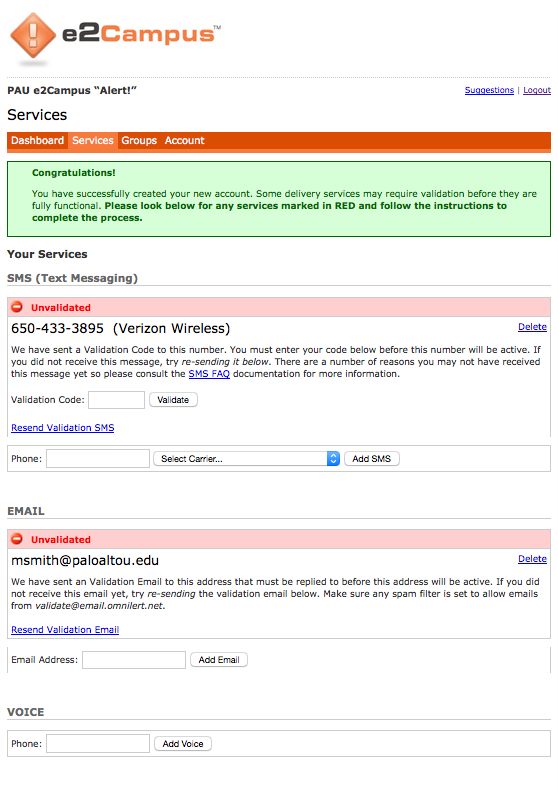 To receive notifications via SMS text messages to your mobile phone, you must have text messaging enabled on that, but if you do not have text messaging, you may still receive e-mail and voice phone messages; just enroll and enter your desired e-mail address(es) and phone number(s) in your account. If you are not sure whether you have SMS text messaging on your mobile phone, please consult your mobile carrier for information on that. Login to your PAU onelogin account as https://paloaltou.onelogin.com. Once you successfully login you should see the e2Campus application. Click on the application, you will be asked to enter your information to create your account. After creating your account you will need to validate your SMS and Email addresses. Follow the instructions to ensure your account is activated. Once validated you will begin receiving notifications from the PAU e2Campusapplication. If you need additional information please contact support@paloaltou.edu or visit e2campus FAQ site.